Russel Kirk’s The Conservative Mind marked a turning point in American conservatism. For over two decades American conservatism had been over shadowed by progressives liberals. By the time Eisenhower had taken office there was a generation of Americans that knew little to nothing about American/British conservatism. If they had any thoughts on the subject it was probably tainted by the relentless and inaccurate descriptions they had heard in the papers and from progressive politicians. Into this fray entered Russell Kirk, an intellectual and a conservative who sought to reset the foundations of conservatism in the minds of the American Public. 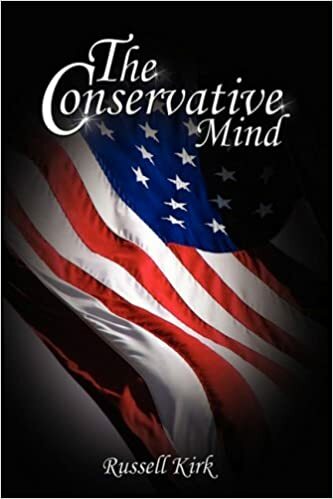 The Conservative Mind, although central to the resurgence of conservatism in general, should not be considered the Bible of conservative thought. It is an intellectual work and one central to those seeking an understanding of conservatism. That said it should not be read in a vacuum, Kirk should be see as a mere part of a conservative education. His views are both insightful and incomplete. While conservatives might find fault with some of Kirk’s assertions, all have to admit that as a history of conservative intellectualism it stands alone.